I fish since I’m 5 years old. That means 25 years in total. And since the past 9 years only with the fly. My passion is fly fishing for Danube salmon in the winter months. 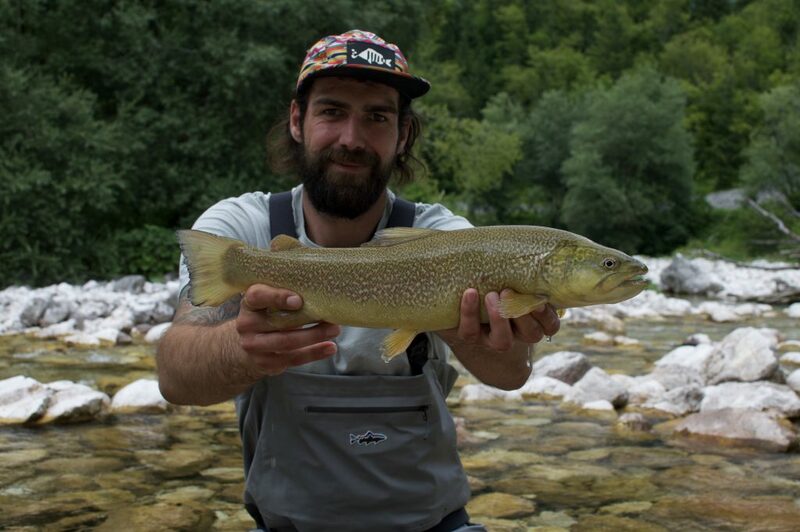 I mainly fish in the rivers in the south of Austria and Slovenia. Especially in the river Gail, Drau, Möll and their small creeks. For me the season begins when the temperature get low, the smelt water from the glaciers disappears and the Danube salmon get more activity. The loveliest and most productive time is from and of October to the end of January. My place to be certainly are the Bahamas. I love the saltwater fishery for Bonefish, Barracuda and Permit. Especially when I can get a chance to catch a big Bone, (that means in the double digit range) on a DIY trip. There are only 2 things. I want to catch a Bluefin Tuna on a flyrod in the Mediterranean sea and a Taimen in Mongolia. To 90 percent I fish with my handmade streamer patterns. And the rest of the time I use nymph an dry fly patterns.